Your small business can make a big statement with our Single Stripe business card design template, perfect for any company that wants to make a bold impression with a touch of minimalist elegance. 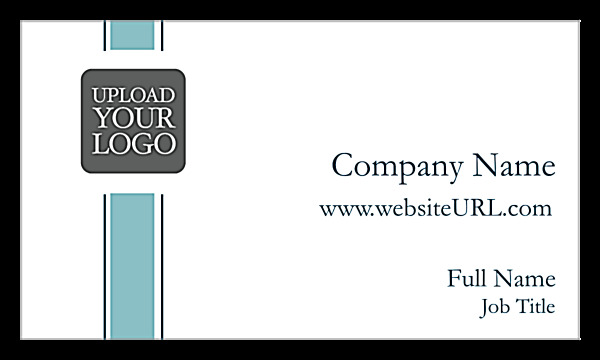 Customize the front by uploading your logo to be positioned along a tri-colored vertical ribbon, then add your company name, URL, title, and name. On the back, customize your contact information on a solid color block, intersected by a contrasting two-toned ribbon. Match your brand image by choosing between three color options and attention-getting shapes, then decide whether to print standard business cards, folded business cards, die cut business cards, or offset business cards. Alternatively, choose uncoated business cards for a writeable surface – perfect for setting appointments! You don’t need to hire a pro designer to get professional quality business cards. With PsPrint’s online design tool you can create beautiful business cards quick and easy. 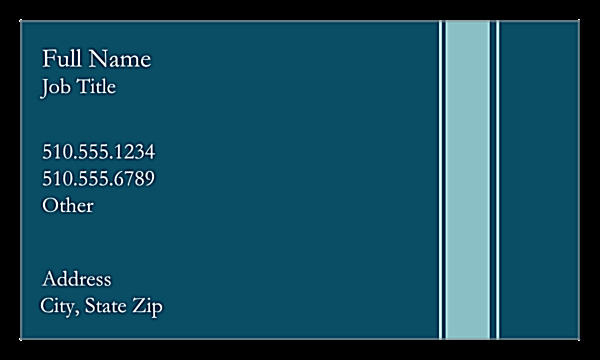 Simply follow the prompts to point-and-click to customize your business card colors, shape, and text. That’s all there is to it! When you’re finished personalizing your business card, select your printing options and your business cards will arrive in a few days. While waiting, you can share your design by downloading a free PDF. Affordable pricing and reliability make PsPrint the perfect printer to partner with for your business card needs. We use high-quality paper stocks and vivid soy inks to print attention-getting business cards that look and feel amazing. Plus, our customer satisfaction guarantee ensures that you’ll be delighted with your finished business cards.